As a Realtor® servicing the Westman Area, Kevin provides Strategic Marketing services to his clients. His business is built on: Dedication, Communication, Determination, & Trust while embodying the ability to cater and adapt to all of his client’s Real Estate needs. He provides exceptional Real Estate services to ensure you feel confident with your decision to hire him. “I do what I say I’m going to do, and my clients best interests always remain paramount.” Kevin graduated from college with an Accounting diploma, and spent 20 years serving in the Military with the Princes Patricia’s Canadian Light Infantry. “I had several postings in that 20 years, and became a subject matter expert on military moves.” Kevin understands that buying and selling is one of the biggest decisions in a client’s life and views representation and guidance of his clients through this process as a true privilege. 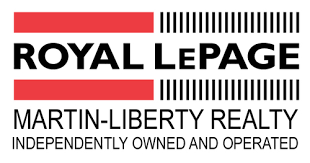 “I’m very excited to be working with Royal LePage Martin-Liberty Realty, and servicing my present and future clients under that incredible brand.” Please feel free to reach out anytime and discuss your real estate needs. Kevin can always be reached at 204 740 0090, or check out his website at brandonrealtyservices.ca.